Listen to the interview with Mireille Mettes. Interviewer: Jaap van Kluijven of Holistic Radio. 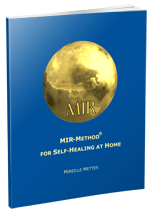 Mireille explains why she wants to spread the MIR-Method around the world. Hear her speak with intens enthusiasm and how she wishes for you the MIR-Method can help you improve your health! Click here to download (mp3) the interview, so you can listen to it on your phone, tablet or mp3-player. My good friend in Holland told me about this & I am trying it out – sounds wonderful! How wonderful to hear that! I hope it will do you much good!